Winnipeg artist Karel Funk has received international attention for his hooded figures – stark and contemporary urban works that at the same time draw heavily on historical religious art. They have been praised by the likes of The New York Times (“outstanding”) and Artforum, and have been acquired by institutions such as the Guggenheim, the Whitney, the National Gallery of Canada and the Art Gallery of Ontario. They were the subject of a 2007 show at Musée d’art contemporain de Montréal, his first solo exhibition at a public gallery. And they are finally coming home. An exhibit, called Karel Funk, opens at the Winnipeg Art Gallery this weekend – the first major survey of his work. It includes 24 paintings, representing about a third of the body of work under examination. 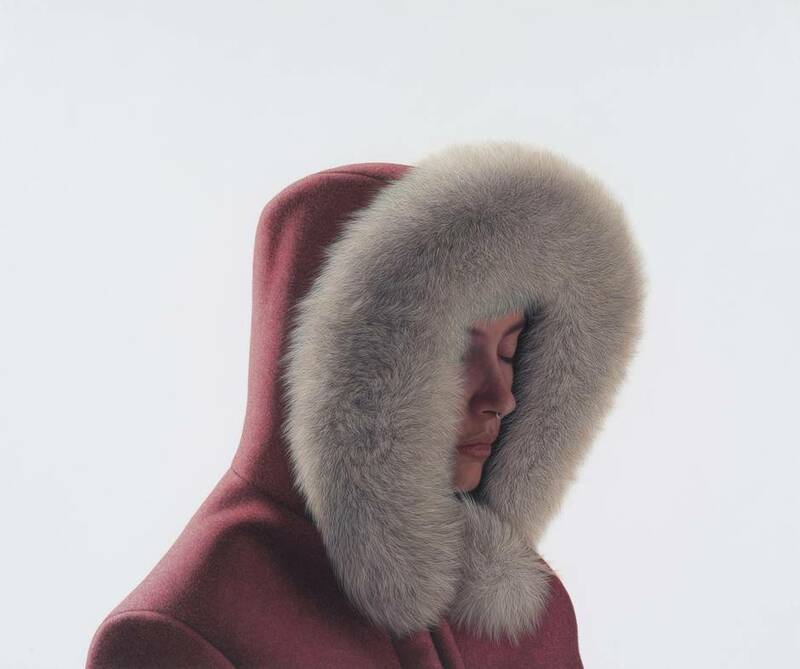 The works are hyperrealist – acrylic paintings on wood panels that portray people wearing hooded jackets. As his practice has evolved, their faces have become more obscured. Sometimes we see only the jacket – but we know there’s someone wearing it. “They are powerful and penetrating works even though you’re rarely seeing the face of the sitters,” says Stephen Borys, the WAG’s director and chief executive officer. Funk, 44, calls the jackets a muse that allows him to explore his painterly ideas. Funk, who has a basement full of jackets, brings in models and takes hundreds of photographs (he used to use slides; digital photography has made the process much more efficient). 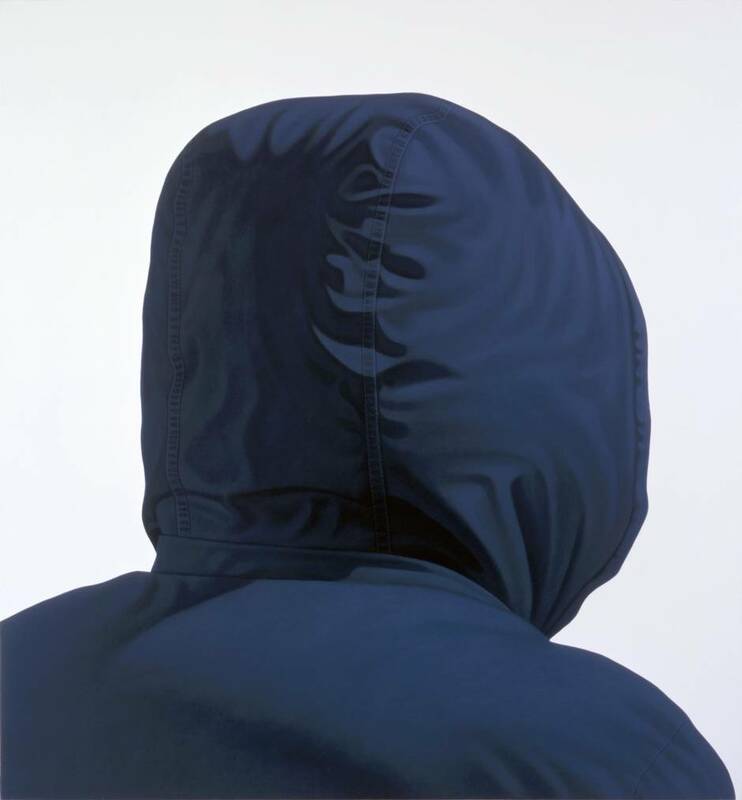 He looks for combinations of jacket and light that work, inputs the photos into his computer and manipulates them using Photoshop – adjusting light and colour, twisting and warping, sometimes cutting and pasting. He projects the master source onto the panel (he used to paint on canvas but didn’t like the bounce) and does a quick sort of sketch outline and scribbles in some shadow areas. Then he paints – often hundreds of very thin layers of acrylic that are almost transparent, so it takes a long time to build up the image. Each work takes months to complete. They were not dreamed up in cold, blustery Winnipeg, where Funk was born and lives and where one requires protection from the cold and snow. They were inspired rather by his time in New York, where he moved in late August, 2001, to do his master of fine arts at Columbia University. There were two threads of inspiration: observations of his fellow travellers (often literally, in the subway) allowed by the shoulder-to-shoulder proximity of New York life; and exposure to historical paintings at the city’s great museums, especially the Metropolitan Museum of Art, which he tried to visit weekly. On the subway, personal space disappeared and he was able to examine strangers in an intense, intimate way. Because Funk arrived in New York two weeks before 9/11, I had to ask whether the works – humans shielded against the elements, but what else? – were at all influenced by the attack. While the event had an impact on his life – in fact, he later realized that the roaring sound that woke him up that morning probably came from one of the planes passing over his building – it does not factor into this body of work. What does factor in are the historical paintings he viewed during those trips to the Met and the Frick. 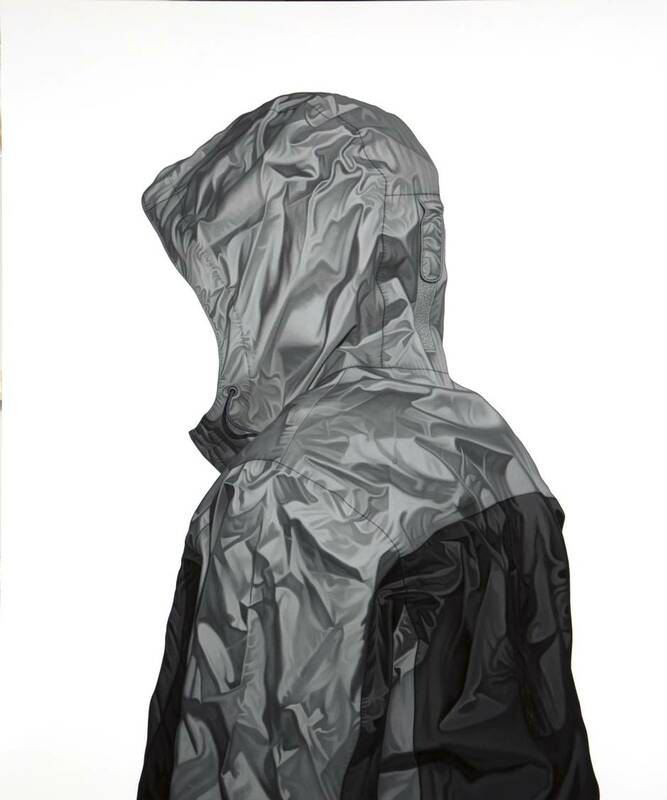 Funk’s hoodie-clad figures couldn’t look more urban and contemporary, but, as you study them, you realize the extent to which they draw on historical, especially devotional, art – hooded religious figures such as monks. They reference Dutch and Flemish work, the Italian baroque and the Spanish baroque – especially the monastic paintings of 17th-century Spanish painter Francisco de Zurbaran, as Mr. Borys, the WAG director, explores in a fascinating catalogue essay, noting that Funk visited the 2003 Met show Manet/Velazquez: The French Taste for Spanish Painting. 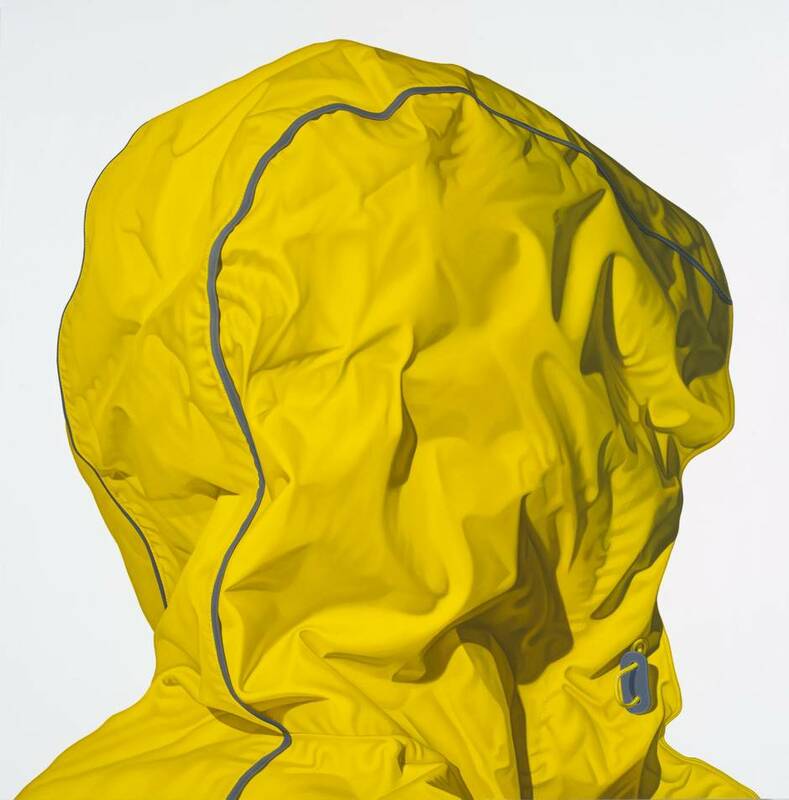 Gradually, Funk’s faces have become obscured by the jackets, turned away from the viewer. 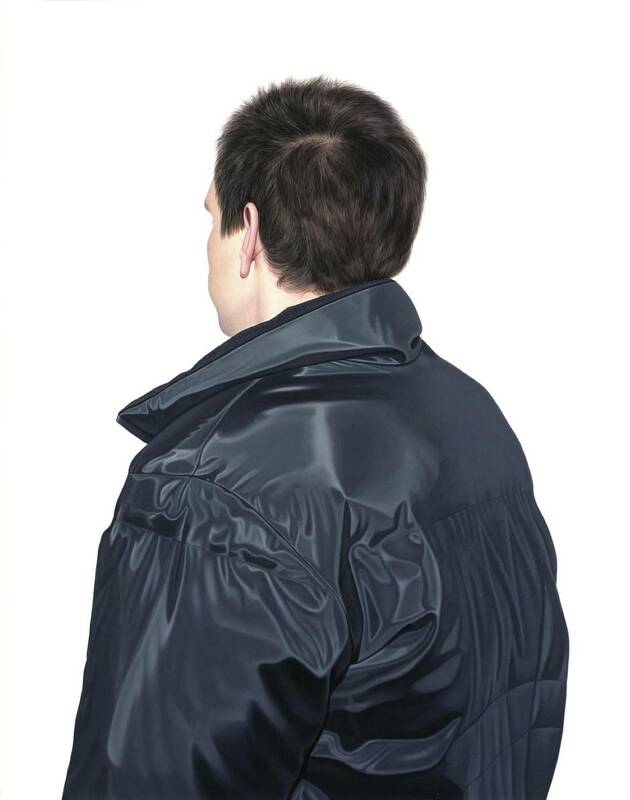 While Funk has distilled the flesh and hair out of his hooded portraits, in the past few years he has also painted works where the subject’s flesh and hair are visible – but they’re not wearing a hood. 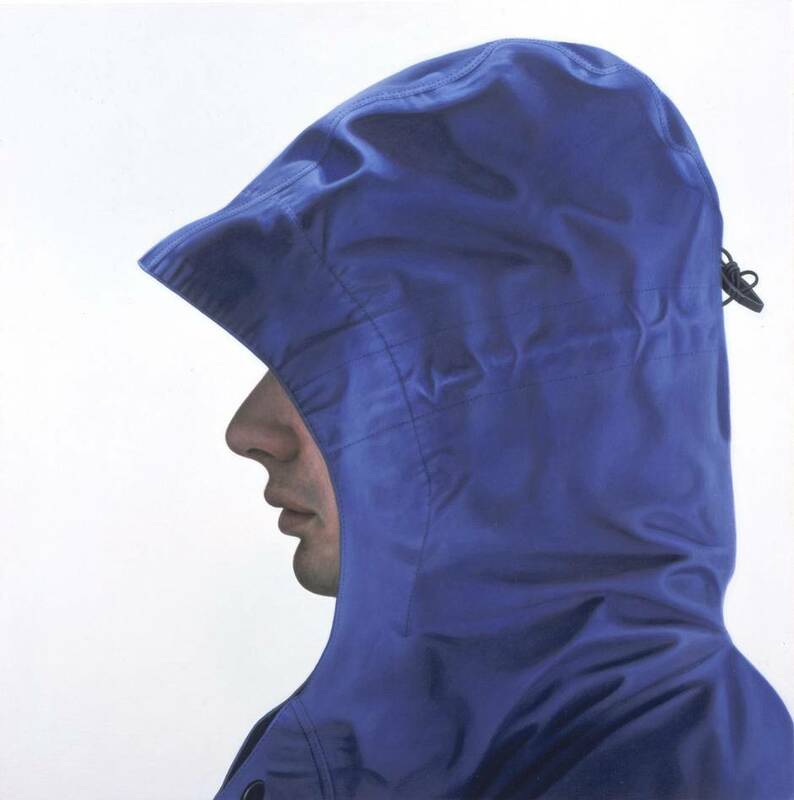 In his most recent painting in the show – which he was still working on last week – both hood and face will be visible. Borys first saw one of Funk’s paintings in person when visiting a Winnipeg collector. That painting, Untitled #41 (2010), is one of the works in the exhibition, which opens Saturday. Karel Funk is at the WAG June 11 to Oct 2.